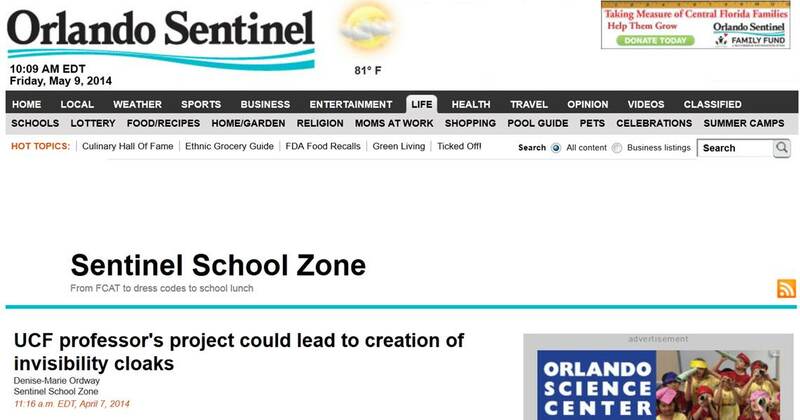 UCF Today: UCF Researchers Developing Sensor to Detect Brain Disorders in Seconds, March 18, 2019. 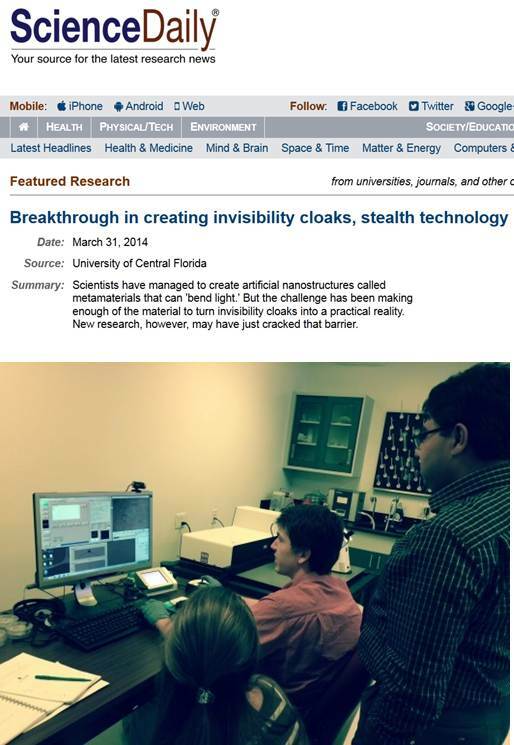 National Science Foundation News: UCF researchers develop method to hide images and information in plain sight, December 17, 2018. 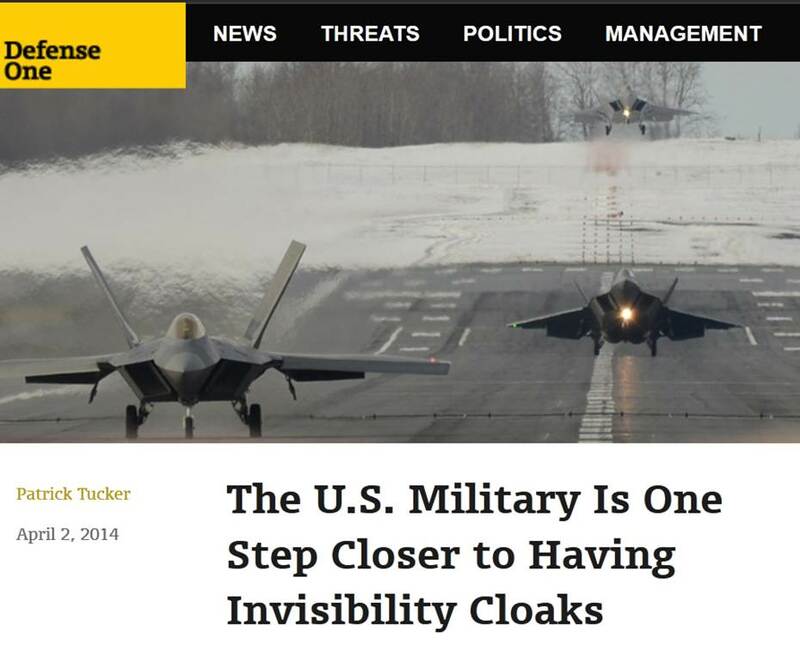 ABC Channel 9 News: Covert Imaging, January 09, 2019. 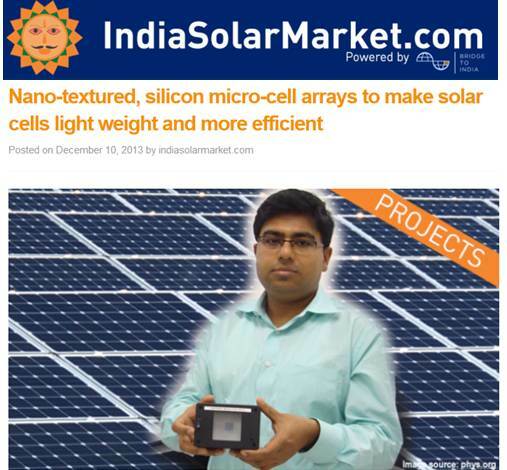 Interview and Live Demo: E-Skin Displays at Display and Consumer Electronics Conference (SID):, May 20, 2018. Phys.org: New optical sensor can determine if molecules are left or right 'handed', June 12, 2018. 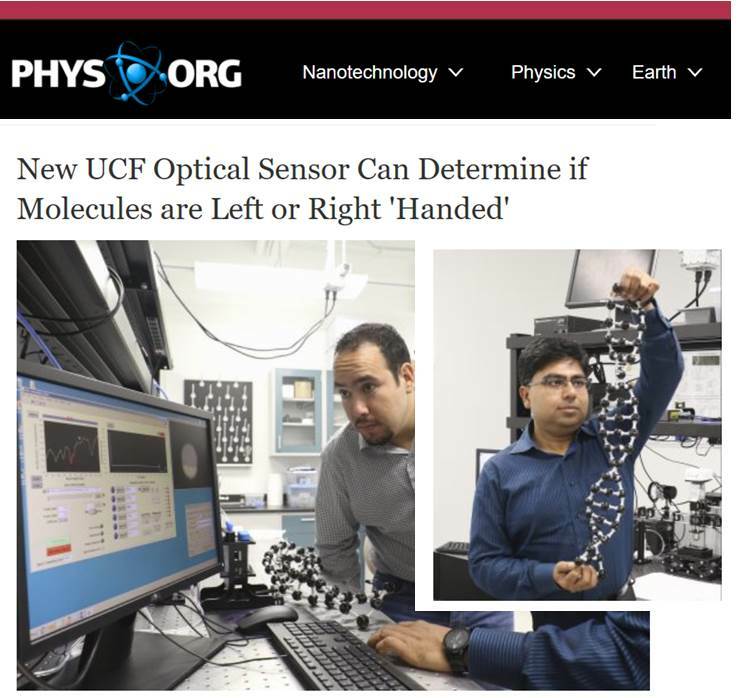 UCF Today: New UCF Optical Sensor Can Determine if Molecules are Left or Right 'Handed', June 8, 2018. 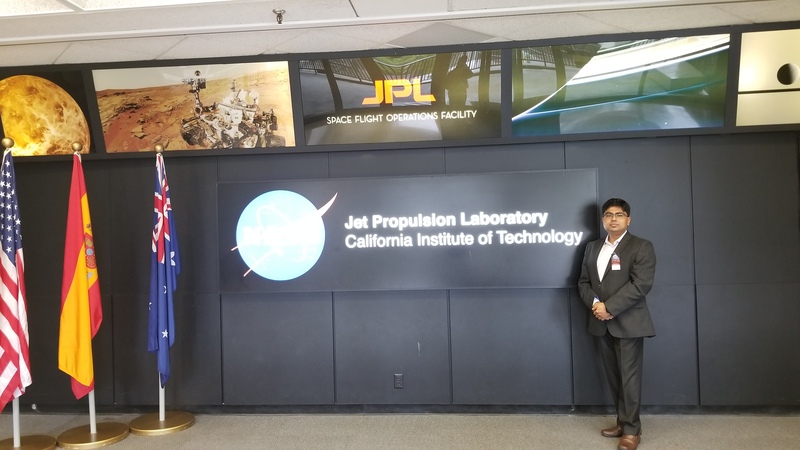 Dr. Chanda gave Invited Talk at NASA Jet Propulsion Laboratory (JPL), Pasadina, LA, May 21, 2018. Dr. Chanda gave Invited Talk at International Display Workshop (IDW - 2017), Sendai, Japan, October 7, 2017. 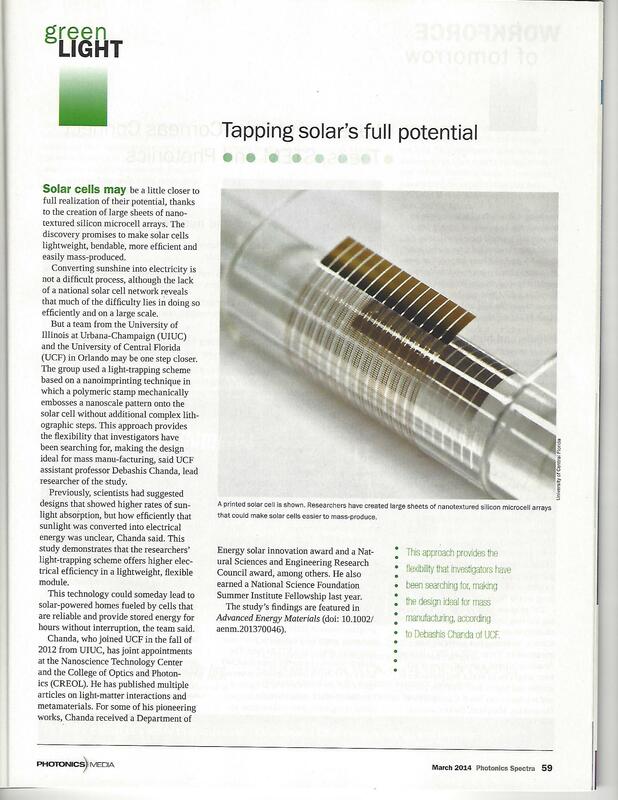 UCF Today: A Breakthrough in Graphene Research May lead to Next-Generation Tech, January 12, 2018. 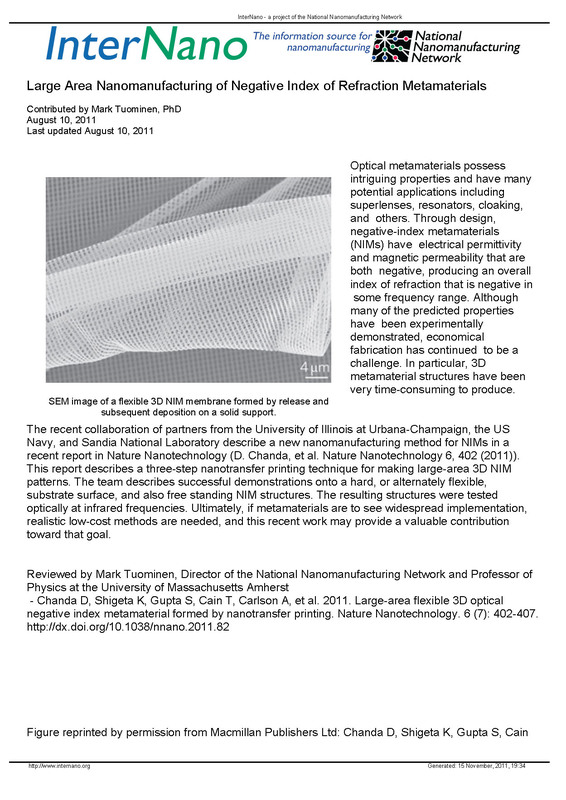 Tech Transfer: Professor Striving to Turn Nanoscale Inventions into Real-Life Products, September, 2017. Dr. Chanda gave Invited Talk at Conference on Lasers and Electro-Optics Conference (CLEO - Pacific Rim) - 2017, Singapore, August 2, 2017. Dr. Chanda gave Invited Talk at META Conference - 2017, Incheon, South Korea, July 27, 2017. 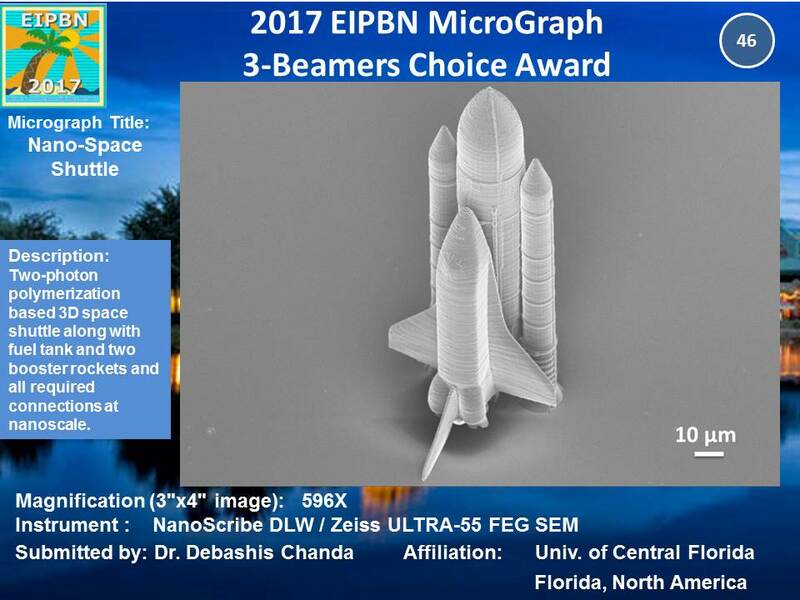 Dr. Chanda gave Invited Talk at Electron, Ion, Photon Technology and Nanofabrication Conference -EIPBN 2017, Orlando, Florida, June 2, 2017. Phys.org: Research could bring 'drastically' higher resolution to your TV and smartphone, May 25, 2017. 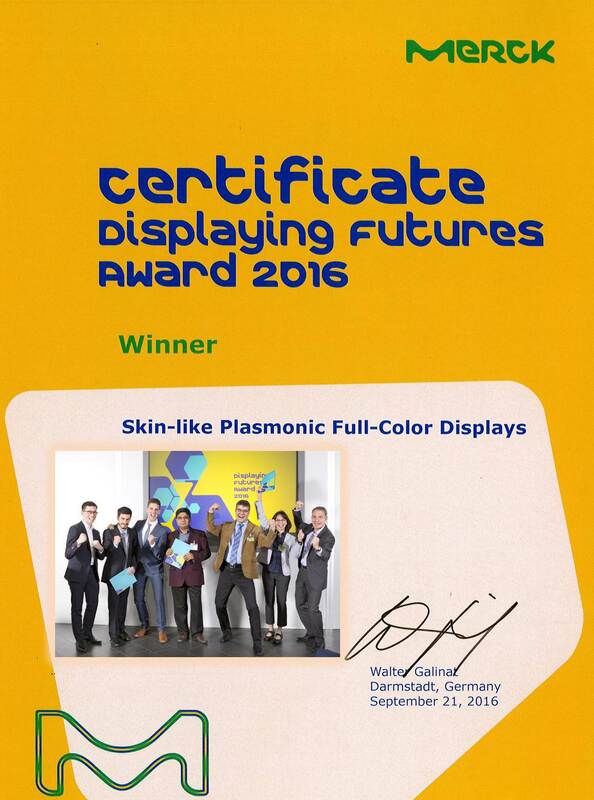 'Skin-like Plasmonic Full-Color Displays' selected as Winner of Displaying Futures Award 2016 by MERCK, Germany. 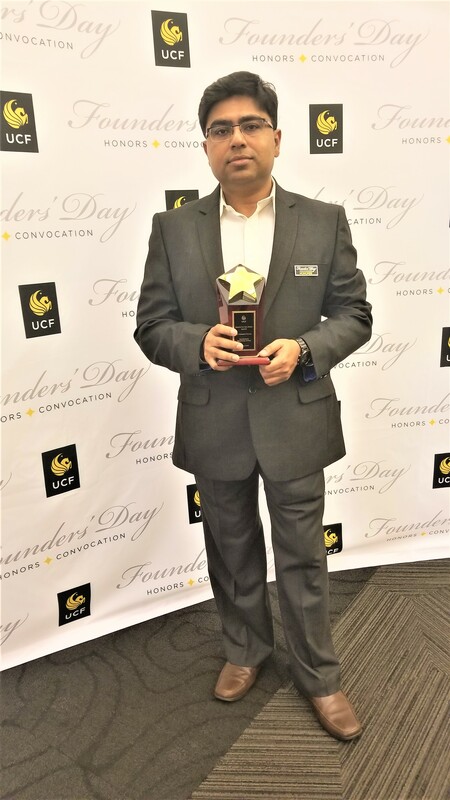 Dr. Chanda and PhD Student Daniel Franklin was recognized by the UCF President and Board of Trustees for the Displaying Futures Award 2016 on Nov 17, 2016. 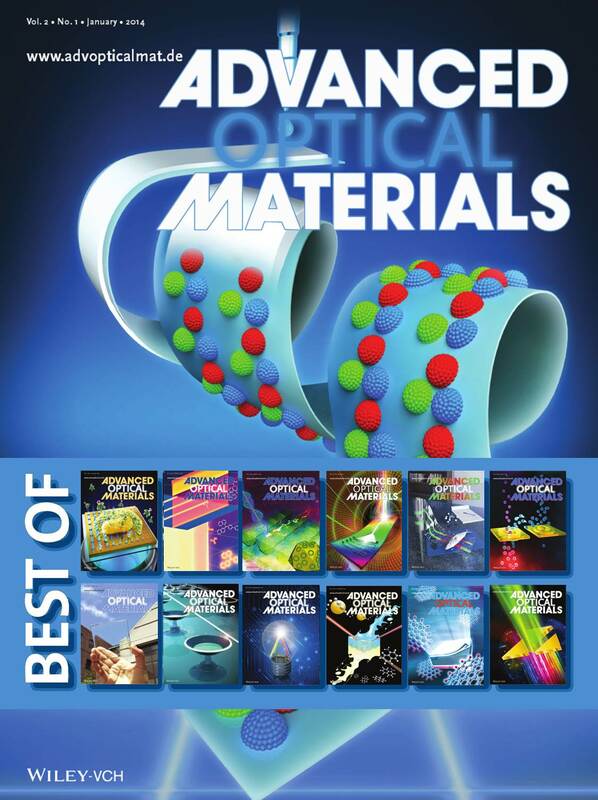 Dr. Chanda gave Plenary Talk at OSA Latin America Optics and Photonics Conference -LAOP 2016, Medellin, Colombia, Aug 22-26, 2016. 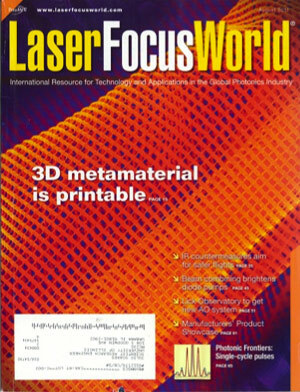 Dr. Chanda gave Invited Talk at Tech Transfer Symposium, CLEO - Conference on Lasers and Electro-Optics, San Jose, CA, June 2016. 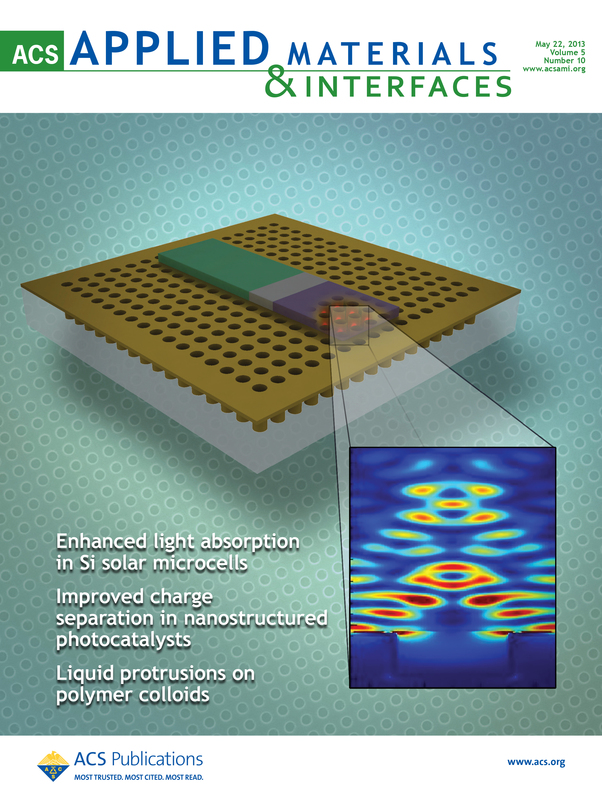 Photonics Spectra: DARPA Grants $1.3M for IR Detection, June 10, 2016. 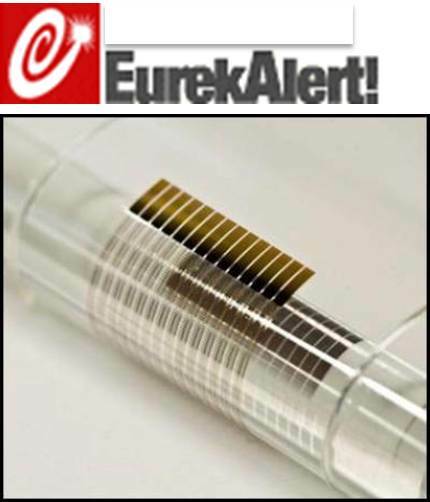 UCF Today: Next-Gen Infrared Detector Research at UCF Attracts $1.3 Million DARPA Grant, June 02, 2016. 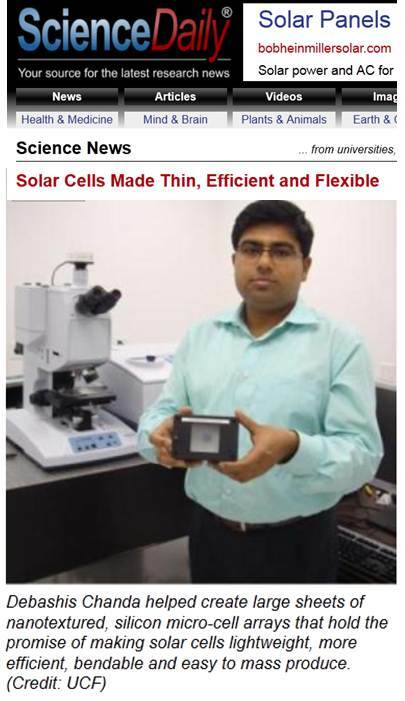 SciTech TV Show : Flexible thin screens, which could lead to wearable displays, color-changing phone cases, and much more, 8.30 pm, February 11 2016. 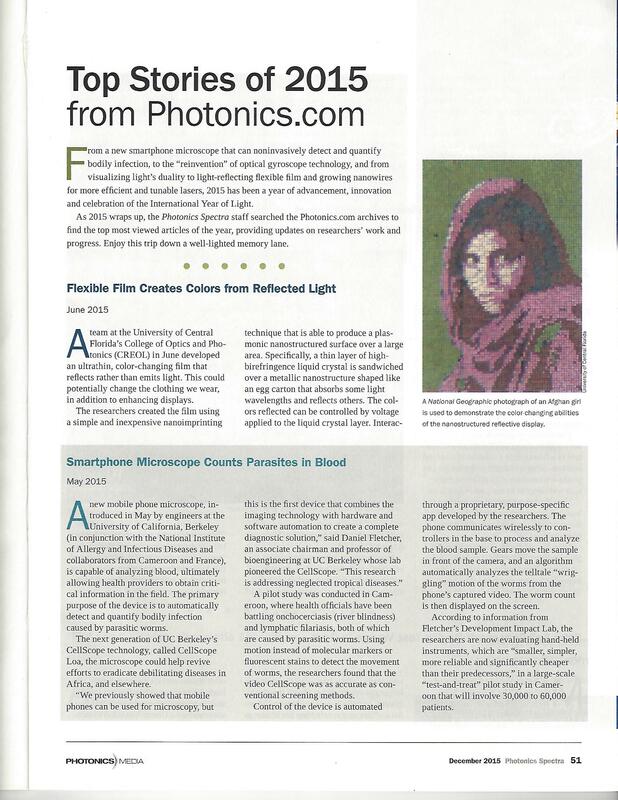 National Science Foundation (NSF): NSF selected the plasmonic full-color display as one of the “Year of Light” favorites, National Science Foundation (NSF) News, November 26, 2015. 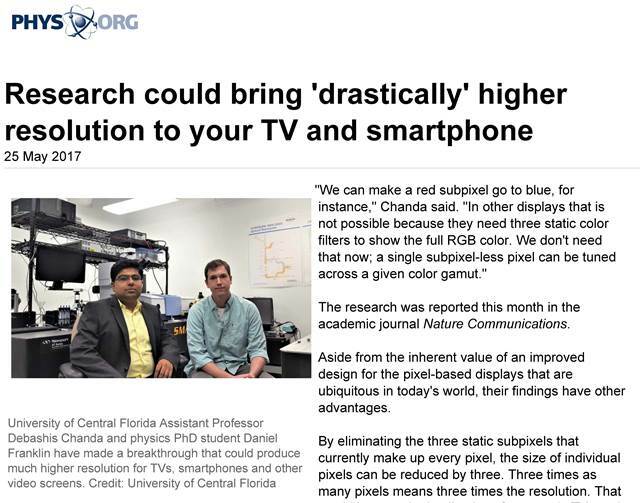 National Science Foundation (NSF): Researchers funded by the National Science Foundation have figured out how to change the color of a surface and play video by altering the voltage applied to it, National Science Foundation (NSF) News, November 26, 2015. 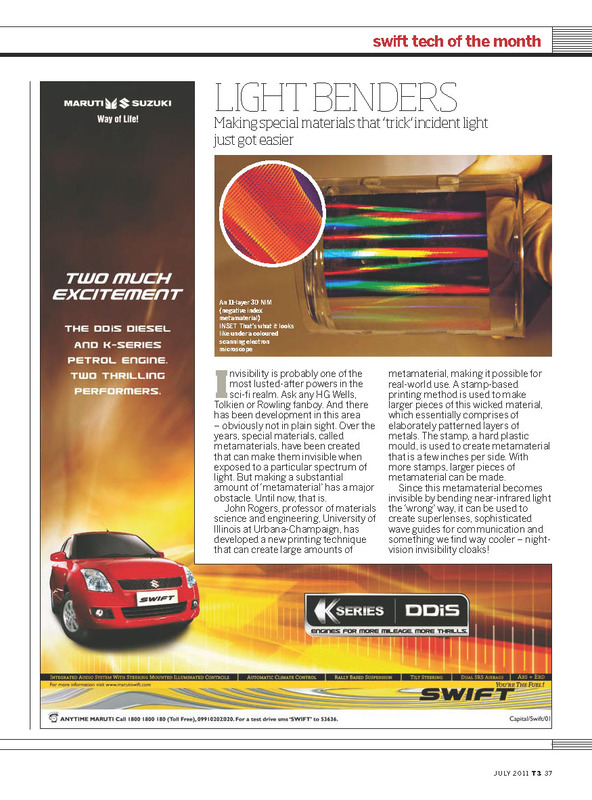 Photonics Spectra Top Stories 2015: Flexible Film Creates Colors from Reflected Light, Photonics Spectra , December 2015. Dr. Chanda is Selected as one of the Chair of IEEE Photonics Conference (IEEE IPC 2016-2017), IEEE Photonics Conference (IEEE IPC 2016-2017) , November, 2015. 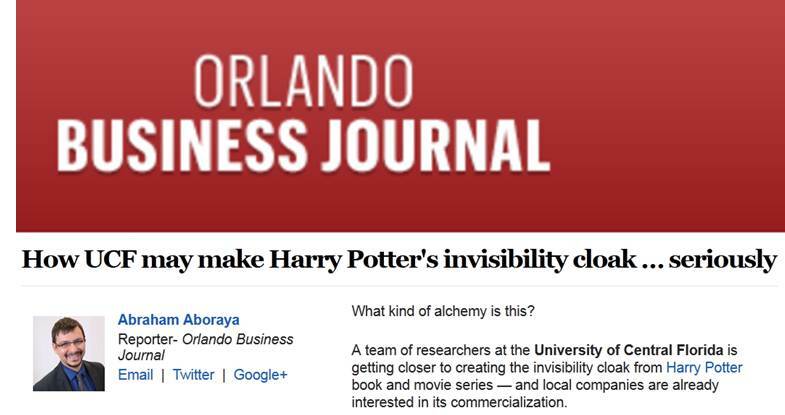 ABC WFTV Channel 9 News: UCF professor's high-tech camouflage innovation gets government's attention, Channel 9 News , October 27, 2015. 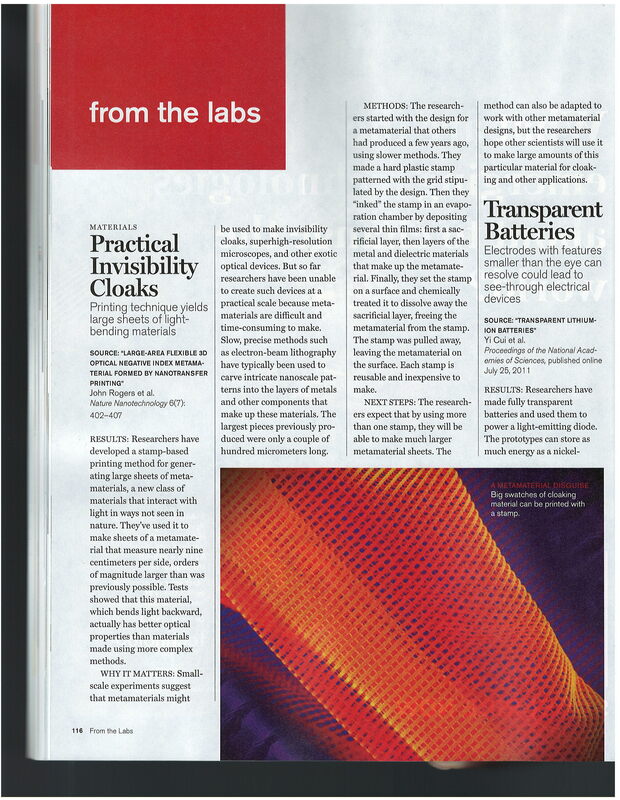 NBC News: Flexible, Ultra-Thin Display Changes Color Like a Chameleon, NBC News , June 24, 2015. 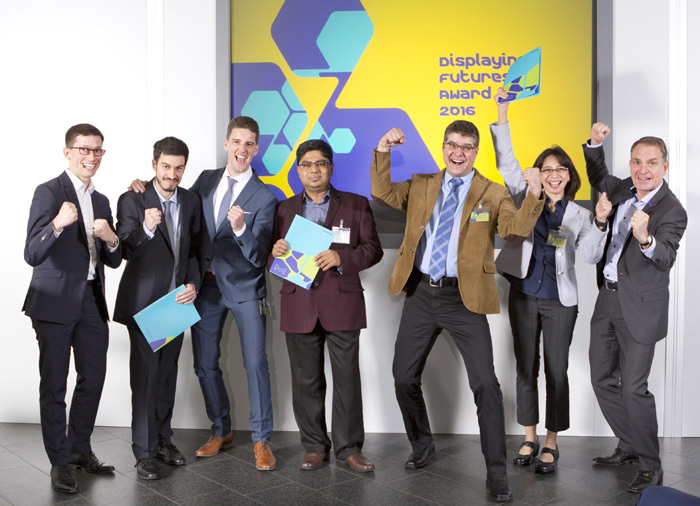 Phys.org: World's first full-color, flexible, skin-like display developed, Phys.org , June 24, 2015. 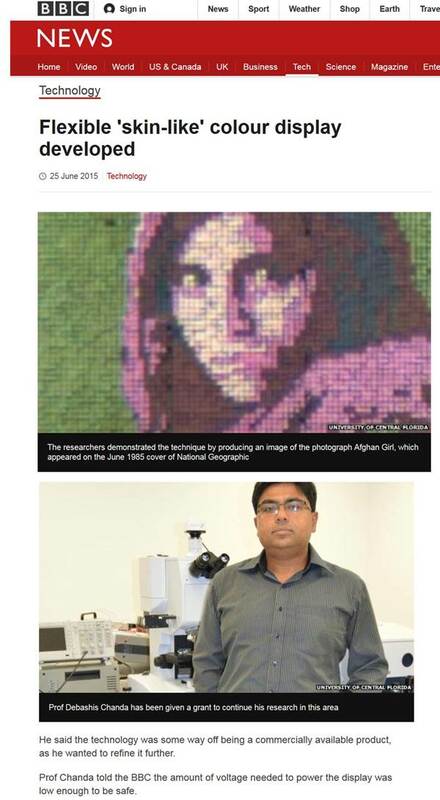 ZEE News: Indian-origin scientist develops world’s first skin-like display, ZEE News , June 25, 2015. 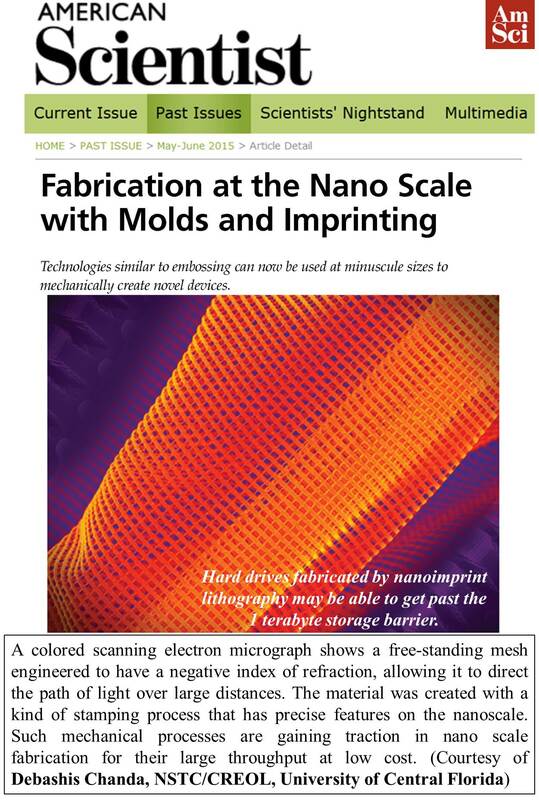 American Scientist Feature Article: Fabrication at the Nano Scale with Molds and Imprinting, American Scientist , 103, pp. 212-217, May-June 2015. Dr. Chanda has been invited to serve on the Editorial Board of Nature Publishing Group's Scientific Reports journal, 2015. 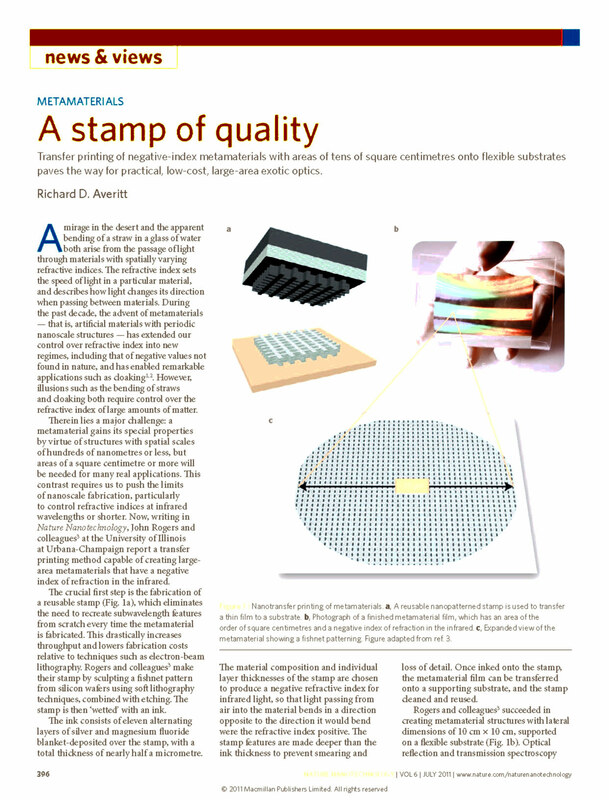 The work on imprinted large area metamaterials published in ACS Nano is appeared as Research Highlight in: Nature Asia Materials, doi:10.1038/am.2014.99, Nov 2014. 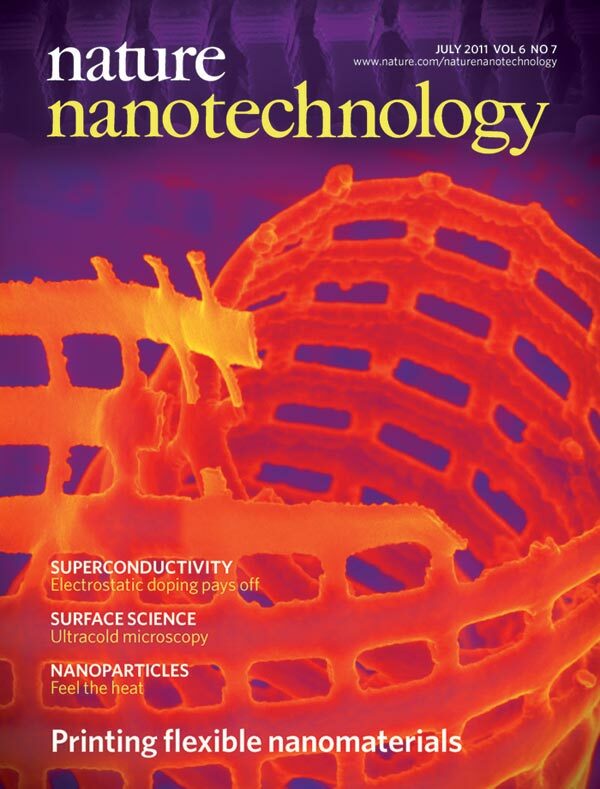 Dr. Chanda appeared on the Science News Radio Show: The Promise of Tomorrow, 10 am, May 26, 2014. 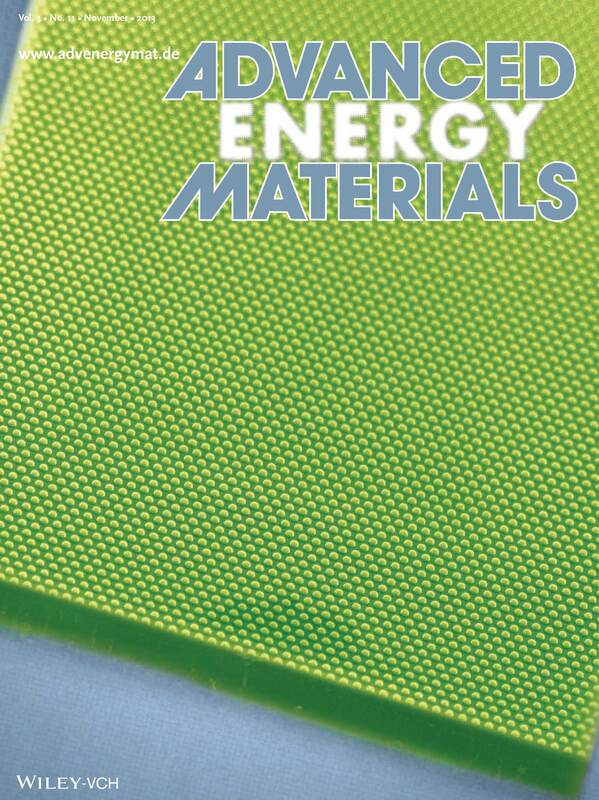 Dr. Chanda gave Invited Talk at Photonics North Conference, Montreal, Canada, May, 2014.